The PUP Council is getting down to the nuts and bolts of administration. Today the council announced the council portfolios. Mayor Bernard Wagner is responsible for Finance & Administration, Human Resources, Anti-Corruption and CARILED. Deputy Mayor Oscar Arnold is responsible for Budgeting, Municipal Court & Special Constables while Councilor Javier Castellanos will head the Economic Development, Small Business, Trade & Investment portfolio; Councilor Ryan Elijio is responsible for Tourism, Zoning & Planning, Local Building Authority. Councilor Aisha Gentle is in charge of the Market, Citizen Engagement, Park & Beautification portfolio, Councilor Micah Goodin is responsible for MIS, Staff Development &Training, Youths and Sports, Councilor Deltrude Hylton is in charge of Public Health, Councilor Michael Norales is in charge of Sanitation, CEMO, Security, Flood Mitigation & Climate Change while Councilor Dr. Candice Pitts will head the Women & Children, NGO’s After School Programs & Foreign Affairs. 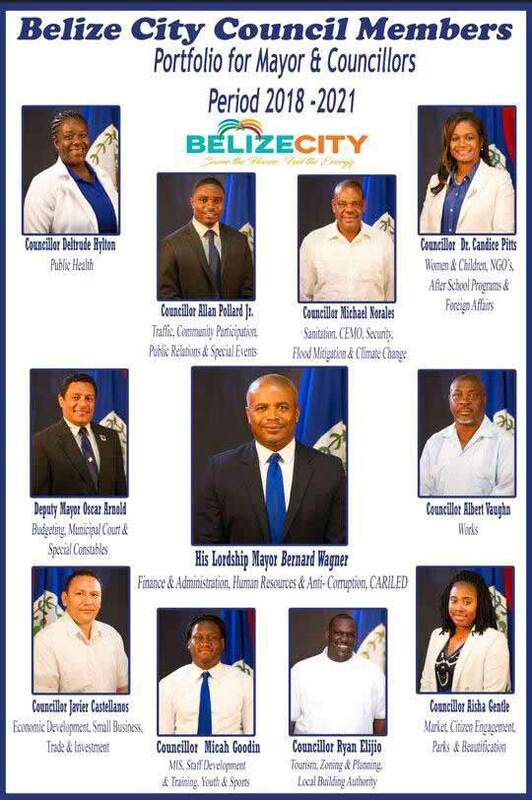 Councilor Allan Pollard Jr. is in charge of the Traffic, Community Participation, Public Relations & Special Events portfolio and finally Councilor Albert Vaughan is the head for Works.